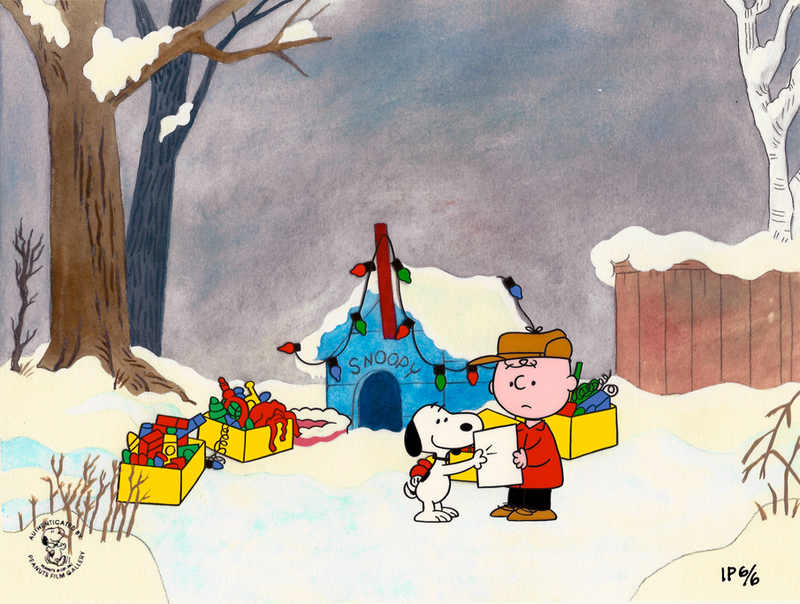 Dog Gone Commercial-A Charlie Brown's Christmas SOLD OUT Snoopy limited edition hand-painted cel, and we can't wait for a big Peanuts fan to have it in their collection! The piece we have is #13 in the edition. Leichliter's career in animation began in 1975 when he worked on You're a Good Sport, Charlie Brown. 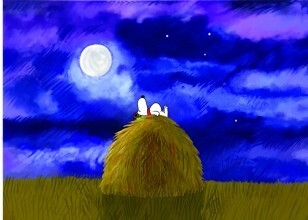 This was followed by numerous other Peanuts specials that he was a crew member of throughout the late 1970s and 1980s. Since then, he has worked on many animated television series, particularly those made for Nickelodeon, which include Hey Arnold!, ChalkZone, The Fairly OddParents, CatDog, SpongeBob SquarePants, The Mighty B!, and Catscratch. Leichliter more recently was a director for the Cartoon Network original series Adventure Time, for which he directed 114 episodes and the original short. Adventure Time also garnered him three Primetime Emmy Award nominations in the category "Outstanding Short-Format Animated Program" in 2010, 2011, and 2012. He is currently directing Bee and Puppycat for Cartoon Hangover. Born November 15, 1916 in Hermosillo, Mexico, (Bill) Melendez spent much of his early art career working for animation companies such as Disney and Warner Bros. Cartoons. 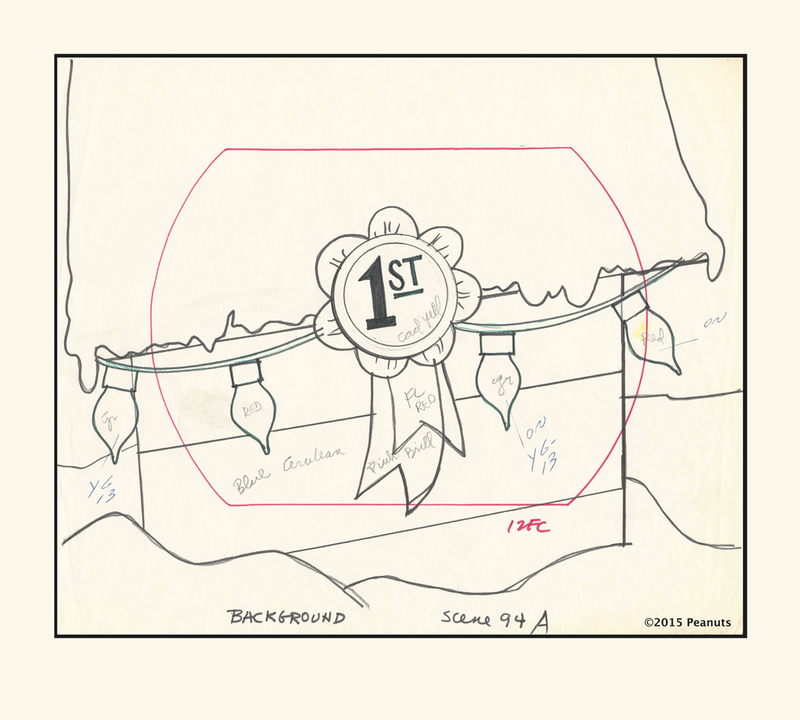 In 1964, he founded his own production company, Bill Melendez Productions Inc. and alongside his commercial work, Bill produced his first television special, A Charlie Brown Christmas. Despite being forced to bring it in on a short schedule and tight budget, he managed to garner both an Emmy Award (the first of eight) and the prestigious George Foster Peabody Award for Outstanding Children/Young People's program. The show is a classic, having aired on CBS-TV every year since. The stentorian tenor behind Snoopy's vocalizations, by the way, is the same Bill Melendez drawing Snoopy's aquiline nose. In 1967 the Television Academy gave three nominations to Bill Melendez; two for producing the outstanding children's program for Charlie Brown's All-Stars and forIt's the Great Pumpkin, Charlie Brown. 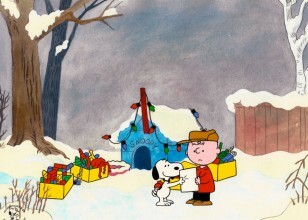 Since then he has produced over 75 half-hour Charlie Brown specials, as well as four feature-length motion pictures: A Boy Named Charlie Brown (nominated for an Oscar),Snoopy, Come Home, Race for Your Life, Charlie Brown, and Bon Voyage, Charlie Brown. Melendez also has to his credit half-hour specials based on the famous Babar the Elephant books. Bill Melendez Productions was the first to animate Jim Davis' Garfield the Cat, and that first special won an Emmy Award in '82. In '87, Bill took on the character Cathy by Cathy Guisewite, and won a Best Animated Special Emmy for that show. Several other Cathy specials have followed, as well as numerous ad campaigns featuring the character. 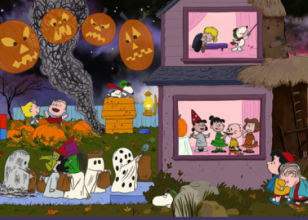 As always, the Peanuts Gang are very visible in commercials and Bill Melendez remains their sole animator, both domestically and internationally. Current campaigns include MetLife, A&W, Chex, Regina, Hallmark, Shell Oil, and numerous European, Asian and Latin American accounts. Notable productions include a special Bill produced in 1990 with the American Cancer Society called Why Charlie Brown, Why? -- a sensitive study of what happens when a child gets cancer. In the late 80's, Melendez produced TV's first animated mini-series. Designed to teach children about American History, it was titled This is America, Charlie Brown. Recently completed is an updated rendering ofFrosty the Snowman, in association with Lorne Michaels and Broadway Video, and starring the voices of Jonathan Winters and John Goodman.